In the past, computer games could only be played if they were installed locally on the machine, but the rise of browser-based games has made it possible for users from all around the world to play games online for free from directly within the web browsers on their computer. With hundreds of games available, you don't want to waste time trying to figure out which games are truly worth playing. The following games are recommended as some of the best on the web. 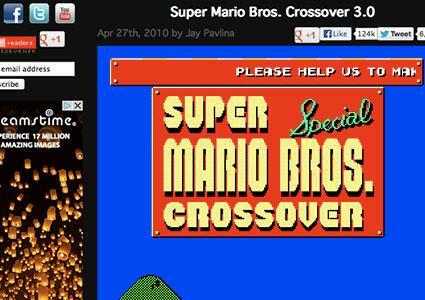 Fans of classic retro games from the 1980s will find a lot to like with Super Mario Bros. Crossover. 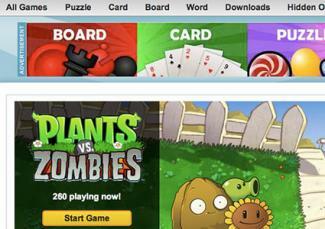 It is offered as a free online game through Exploding Rabbit. This version recreates the original Super Mario Bros. game from the Nintendo Entertainment System (NES) in a creative way. It replaces the main Mario (or Luigi) character with characters from other franchises of the 8-bit era, including Simon Belmont from Castlevania, Bill from Contra, and Samus Aran from Metroid. These characters take on the same abilities as they had from their original titles, but they now navigate through the classic Mushroom Kingdom stages. This means that if a player chooses Mega Man, for example, he or she can shoot the goombas with a blaster rather than stomping on them like Mario. Gameplay is smooth and fluid. The controls will immediately feel familiar for anyone who played the original Nintendo games. This fan-made game has been very well-received and highly rated. It earned a 4.4/5 rating on JayIsGames.com. Most of the titles offered at Addicting Games are retro-inspired and have very basic graphics, but as the name of the site implies, all of these games are designed to be incredibly addictive. The following games are some of the highlights the site has to offer. Rollin is a puzzle game that takes you through different levels of play, similar to classic titles like Tetris and Puzzle Bubble. Addicting Games tags this one as hard, but that is precisely why it can be so addicting. The goal is to navigate a rectangular peg through a grid-based maze so that it can fall through a square-shaped hole in the floor. Levels become progressively more difficult. The game currently receives a 46-percent favorable rating from players, but comments in the reviews section seem to point to the fact that this is a challenging game. If you're looking for a game that makes you work to achieve the next level, you should definitely give this game a try. 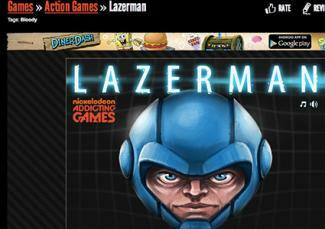 Lazerman is an action game where players control a floating head with a simple click of the mouse. By clicking and holding the mouse button, the character jets toward the location of the mouse pointer. The objective is to break much of the environment, collect the five wrenches in each stage, and reach the exit. This game receives a 77-percent favorable rating from players at the site. Sniper Team is a shooting game where the player switches between different snipers to take out the target. The objective is to defend the base and stop waves of enemies. Enemies can come from any direction, so switching between the different snipers allows gamers to take out the waves no matter where they come. Aiming and firing are both done with the mouse pointer, while zooming in with the scope is done by pressing the space bar. Players at Addicting Games give Sniper Team an 87-percent favorable rating. 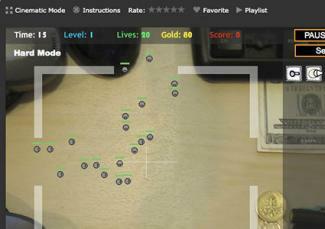 A lightweight tower defense game, the appropriately named Desktop Tower Defense on Kongregate.com uses a generic work desk tabletop as its backdrop, but the gameplay has nothing to do with that. A series of "creeps" make their way from the left side of the screen to the right side of the screen. The player can then set a series of different types of cannons along this path of varying value and strength to defeat the creeps and prevent them from reaching the exit on the right side. There are three difficulty settings, plus the ability to upgrade the towers to be faster and more powerful over time. You also spend the "gold" that is earned by destroying the invading "creeps." The game ends when the player expends all of his or her lives; one life is taken away for each creep that survives. The game a receives 4.2/5 stars rating from players at the site. Pogo.com offers free games, but it also has other exciting features like cash jackpots which make this site stand out from others. To be eligible to win cash, a player in the U.S. must be 18 years old. Jackpots start at a minimum deposit and increase gradually every 20 seconds until the prize reaches the cap. Once it reaches the cap, it stays there until a winner is declared. After a player wins the jackpot, it starts over again. The site contains many popular game franchises. Plants vs. Zombies offers a different take on the tower defense theme; players must defend their yards from incoming waves of zombies. The different plants have different abilities to fend off the invaders, and the difficulty slowly ramps up as the game progresses. The colorful graphics and progressive difficulty make this game an instant hit. There isn't a formal rating system for the games at Pogo.com, but this game does have over 4,600 Facebook "likes" and is one of ten games Pogo.com recommends to its players. Bejeweled 3 is part of the Bejeweled series which arguably defined and popularized the match-three sub-genre of puzzle games. The gameplay is wildly addictive, yet it's very easy to understand. Gamers must swap adjacent jewels to create matching rows or columns of at least three gems. As matches are made, more jewels drop onto the playing field. You move up to the next level when you make a sufficient number of matches. Also recommended by Pogo, this game is highly popular with players and has received over 9,000 "likes" from players. From the creators of Defense of the Ancients, League of Legends is a game that must be downloaded locally to the computer to be played, but it is a completely free download and is free to play online. There are premium items and "Champion" characters that can be purchased for the game, but the core game remains free for anyone to enjoy. This is a multiplayer, online battle arena game where players are formed into two teams of five Champions. The goal is to destroy the other team's Nexus, which serves as the team's home base. There are a variety of Champion characters to use, each with unique strengths, weaknesses and abilities. The game's incredible depth and complexity of online gameplay provides lasting replay value against other players online. Play is kept interesting by a very large community of online gamers that continues to grow. 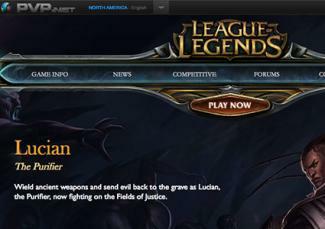 League of Legends was awarded the Readers' Choice PC Best Strategy Game 2009 by IGN. Whether you like to play puzzle, sport, arcade, casino, action, or role playing games, you can find them all for free online. Although most games are designed for a single player, there are still plenty of multiplayer games to share with your friends and other like-minded people across the Internet.